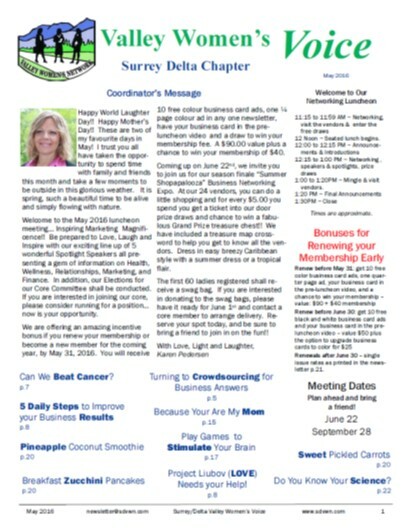 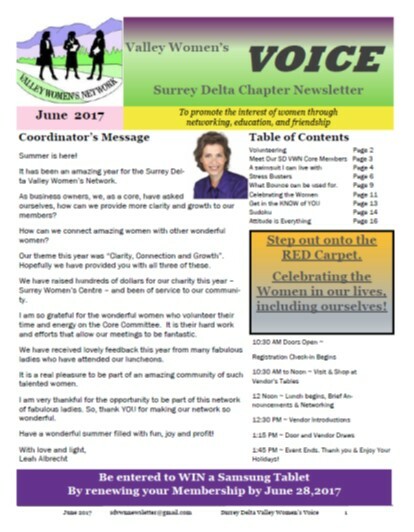 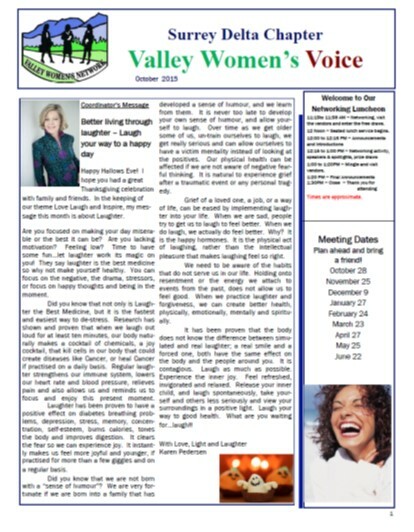 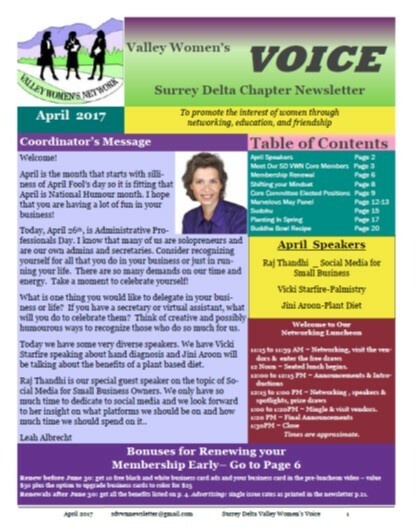 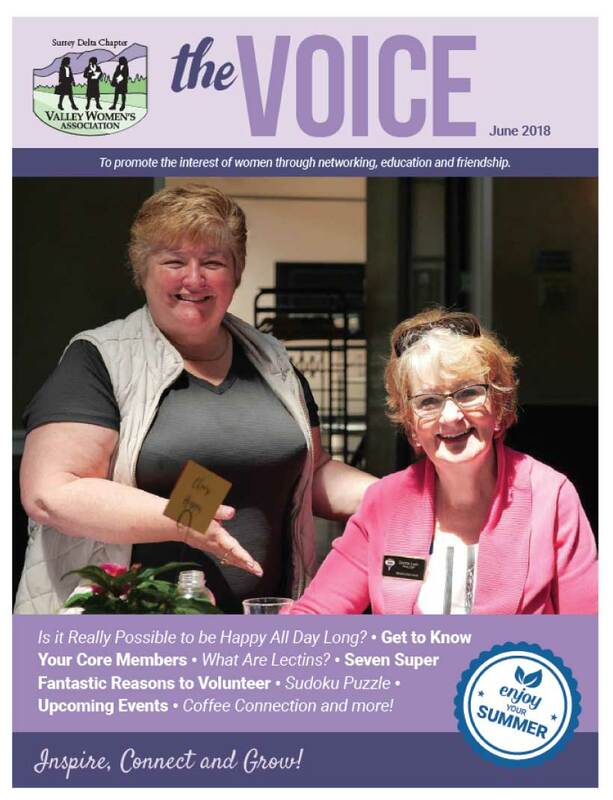 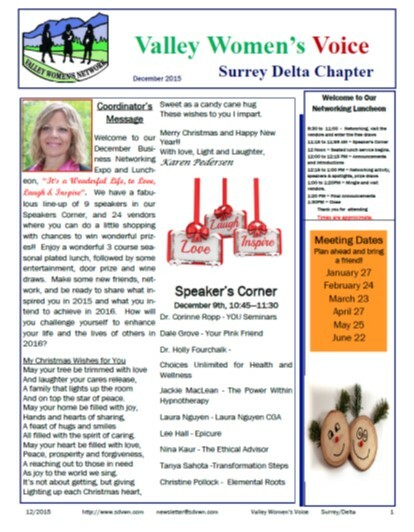 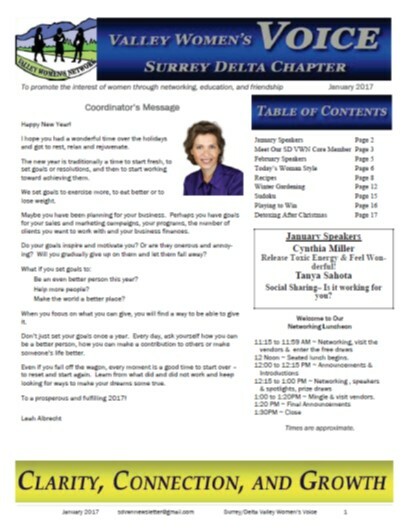 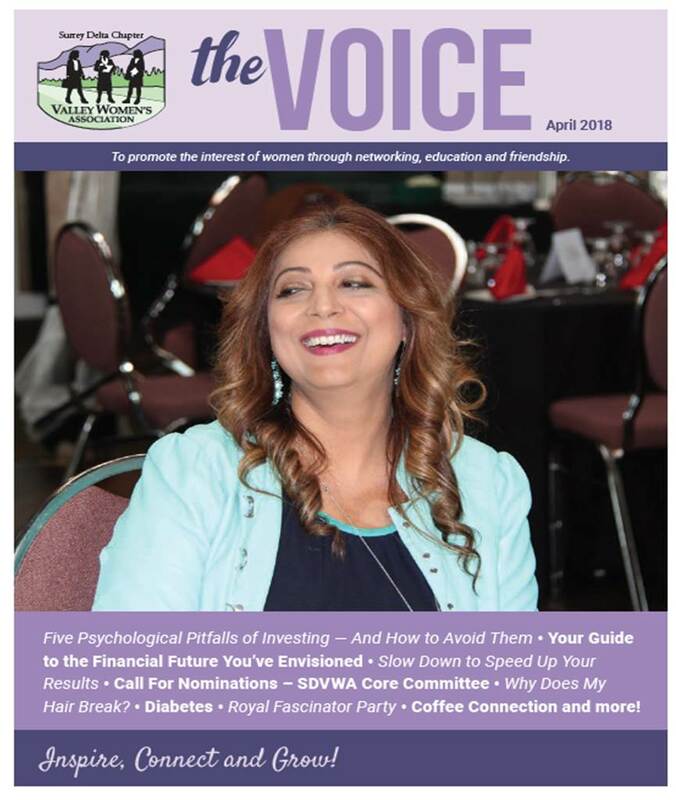 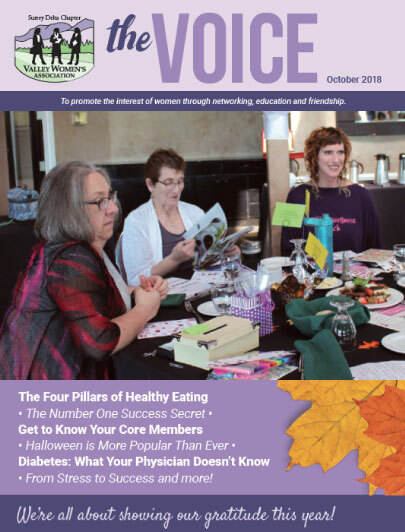 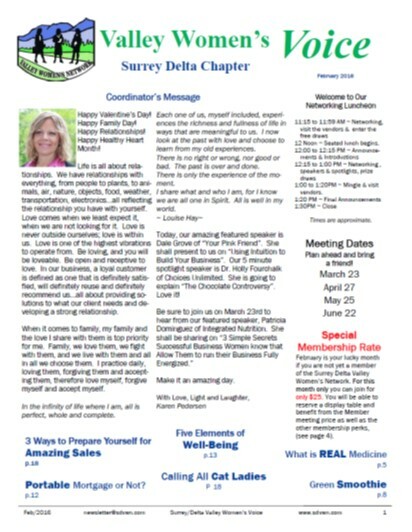 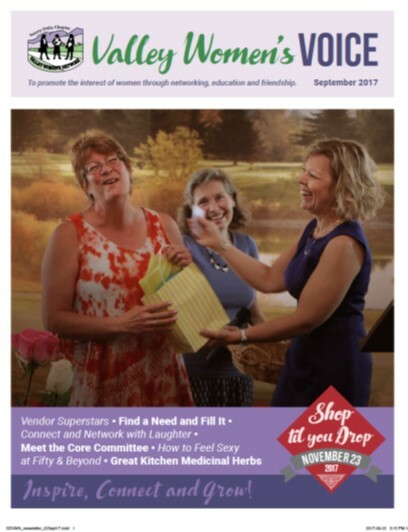 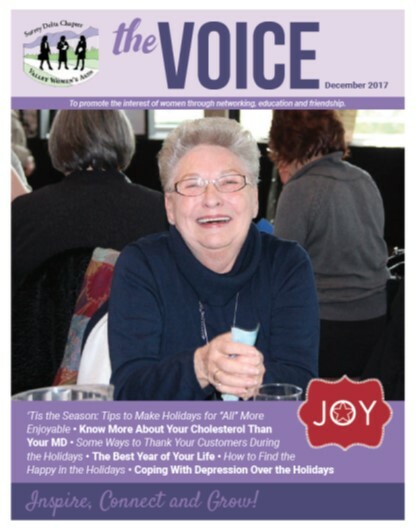 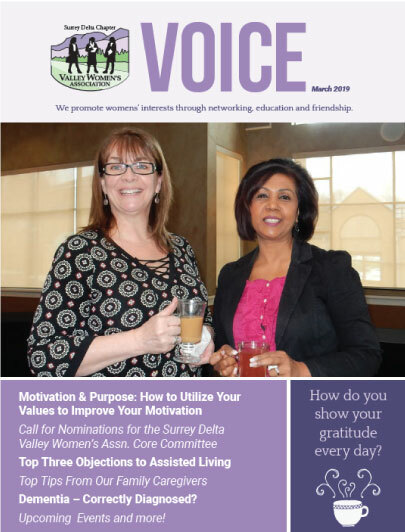 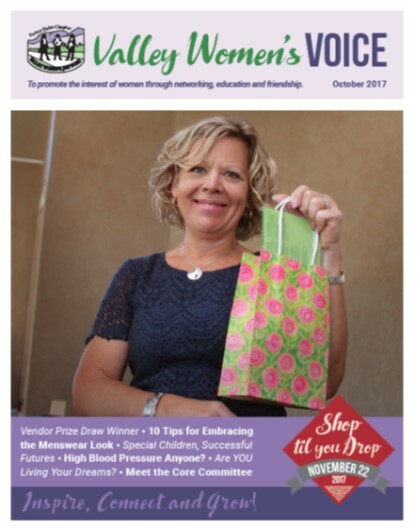 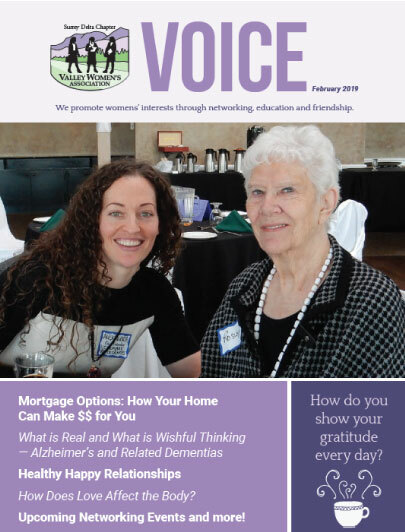 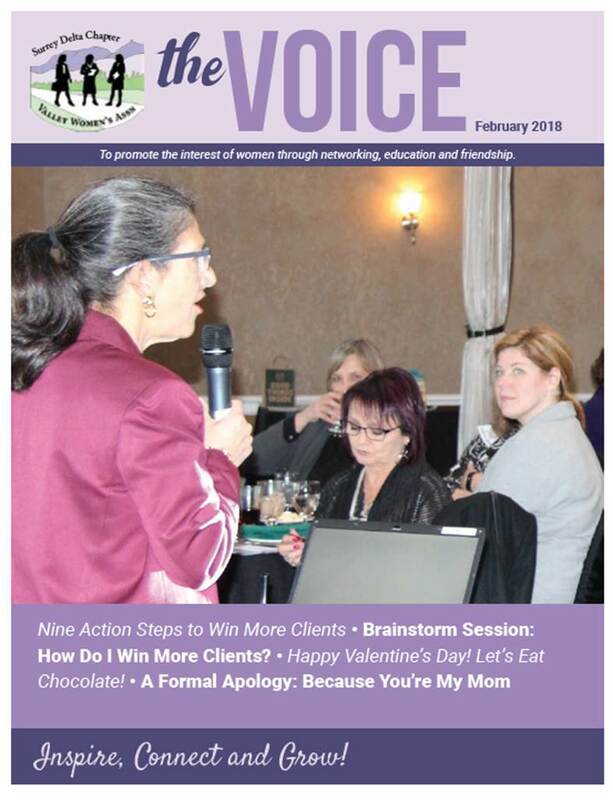 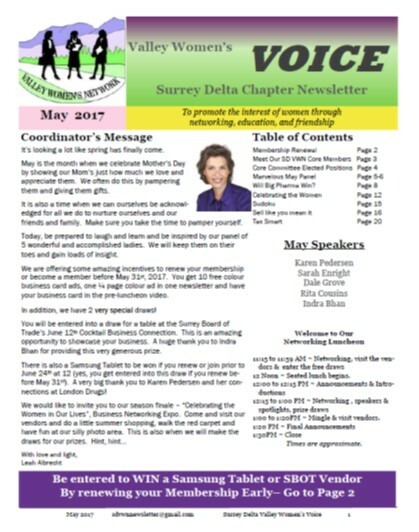 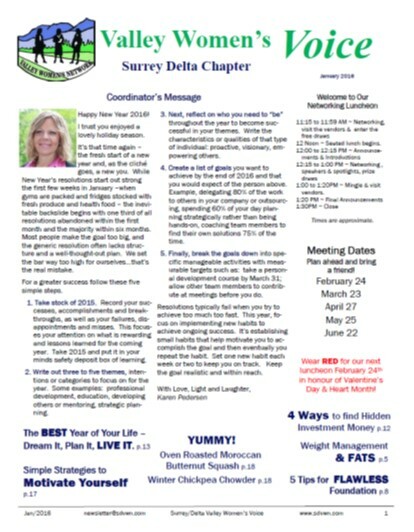 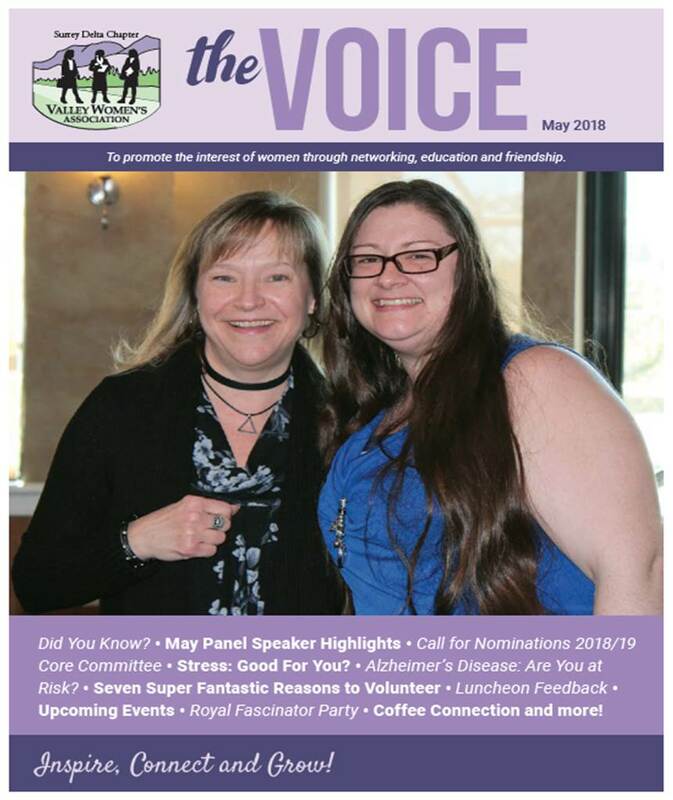 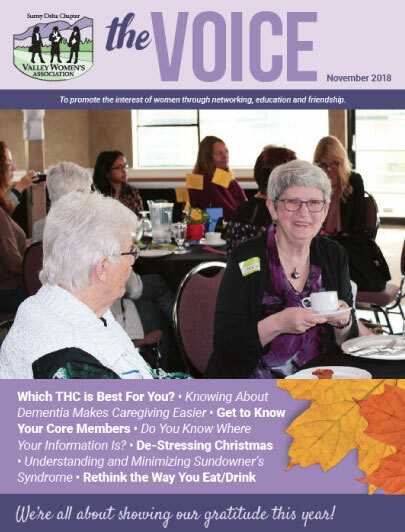 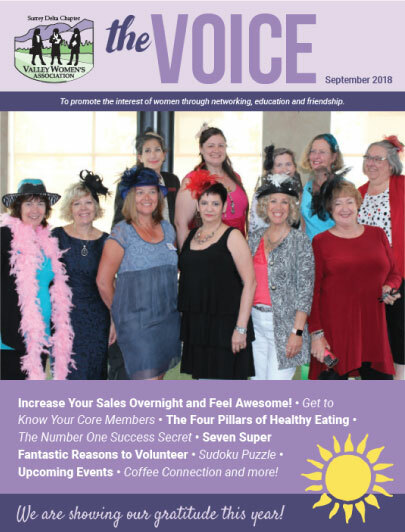 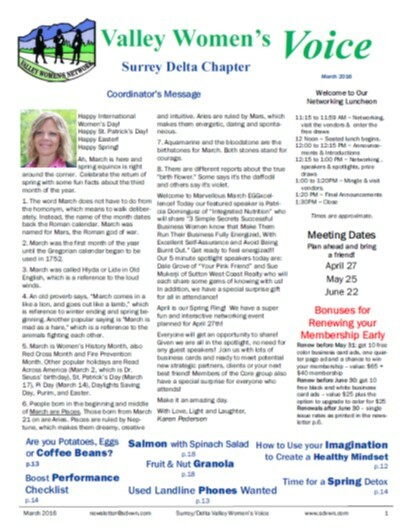 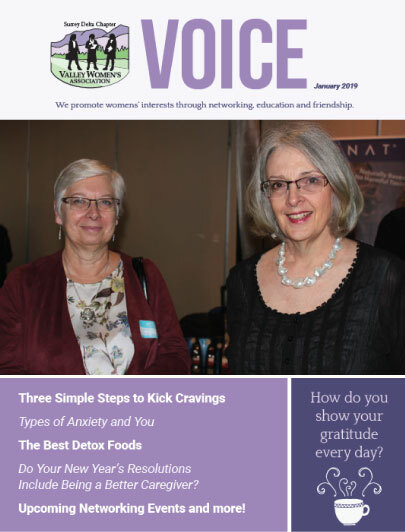 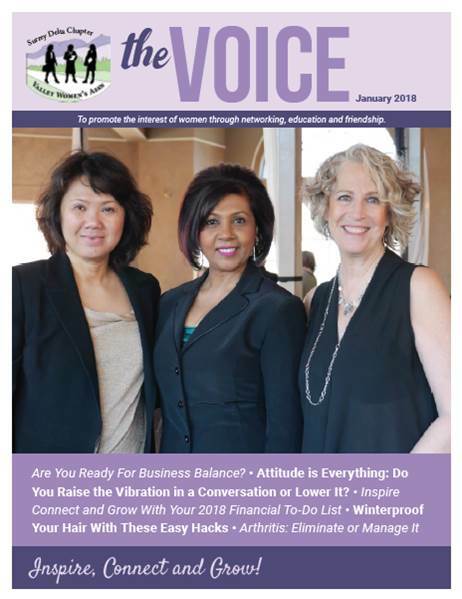 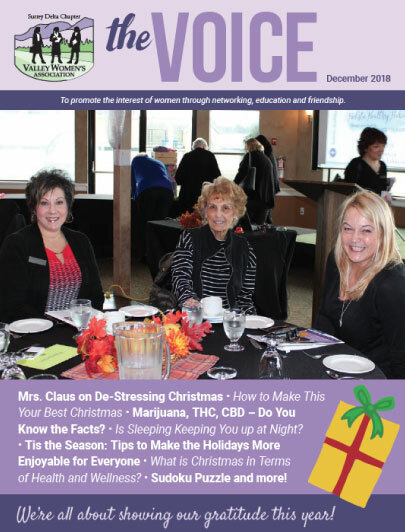 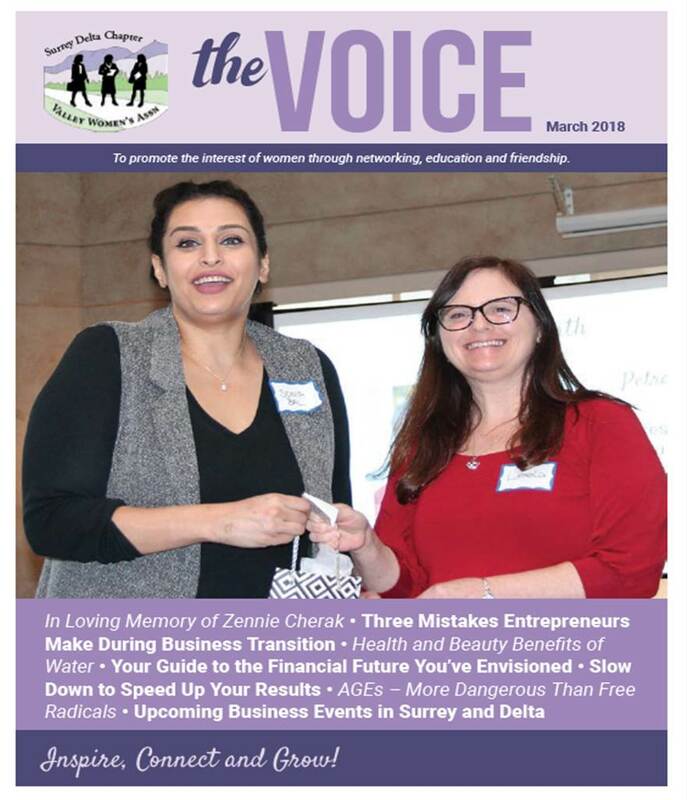 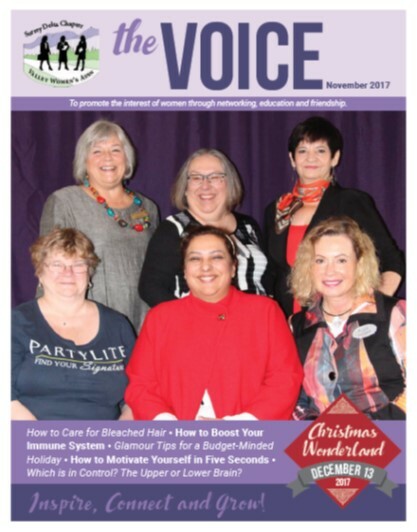 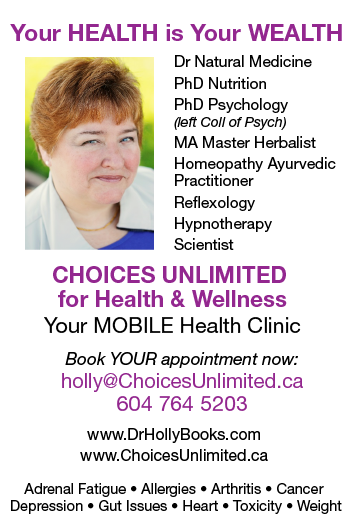 The Voice Magazine Archive - Surrey Delta Valley Women's Assn. 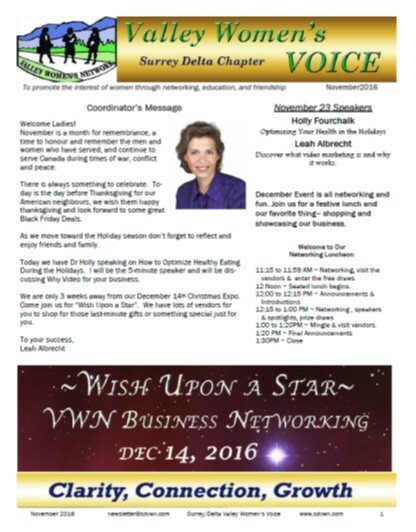 We know that not everyone can make it to every luncheon. 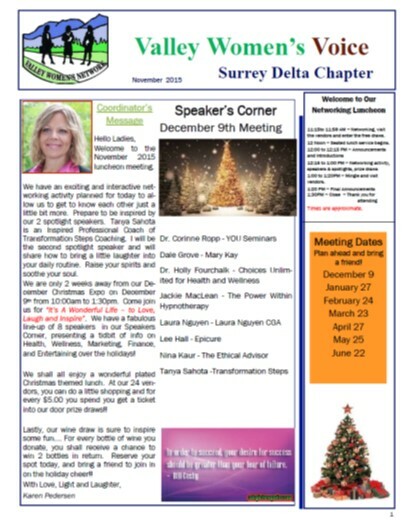 Find out what you missed and catch up on interesting articles, and what’s coming next! 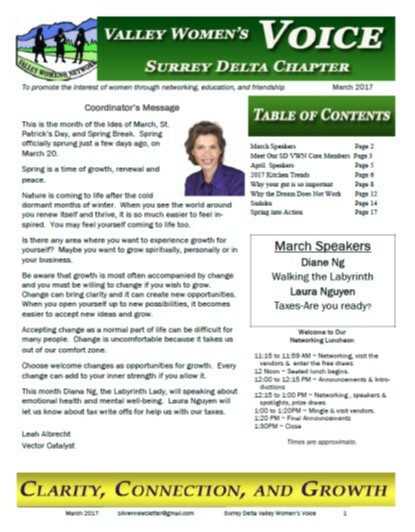 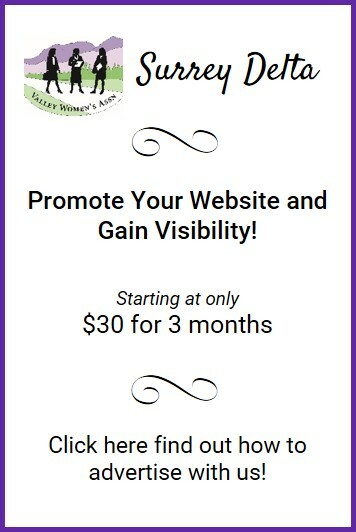 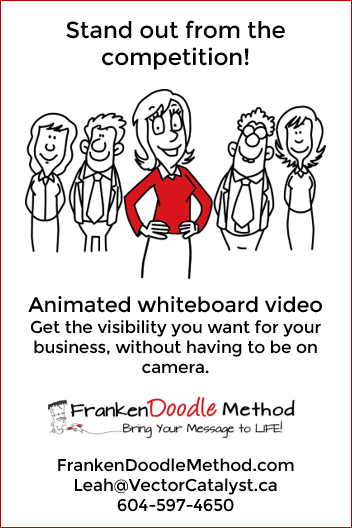 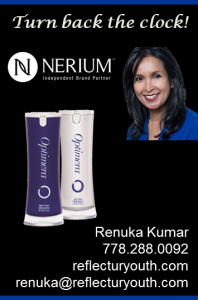 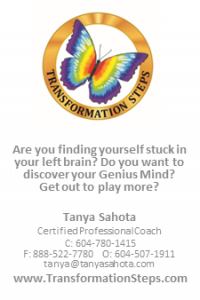 Each Newsletter is provided in pdf format for you to download via Google Drive.